Small engines, also known as gasoline-powered or gas-powered small engines, are internal combustion engines used in power garden equipment, utility vehicles (small vehicles) and auxiliary applications. Small engines considered in this study have been mainly classified on the basis of engine displacement, fuel type, and application. 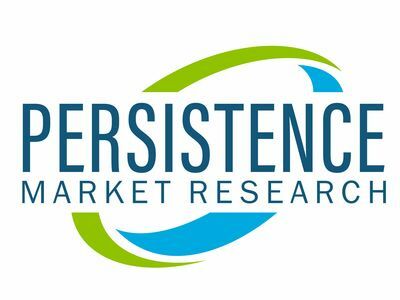 Persistence Market Research has released a new market study titled "Small Engine Market: Global Industry Analysis 2013–2017 and Forecast 2018–2026", which studies the global small engine market and offers deep-dive analysis for the next ten years. The report evaluates the key macroeconomic factors projected to support the growth of the global as well as domestic small engine market. The report on the small engine market also includes the challenges/restraints prevailing in the global market along with the perceptive opportunities, latest trends and potential opportunities for small engine market participants across the value chain. The global small engine market was valued at US$ 7,732.3 Mn in 2013 and is anticipated to be valued at US$ 4,127.2 Mn by 2018 end. The small engine market is expected to grow at a substantial CAGR of 4.0% between 2018 and 2026 and is estimated to reach a global value of US$ 5,628.2 Mn by 2026 end. The demand for mainstream products installed with small engines is significantly impacted by unpredictable power-outages that can lead to substantial variations in, and uncertainties regarding, financial results from period to period. Sales of small engines is subject to consumer buying patterns and the demand for a wide range of small engine applications, such as portable generators, which are affected by power outage events caused by blackouts, thunderstorms, hurricanes, storms and other power grid reliability issues. The impact of these outage events on sales can vary depending on the frequency, location and severity of the outages. Among city planners and real estate agents, the demand for landscaping in commercial as well as residential areas by dwellers has increased, which directly fuels the demand for small engines. Approximately, more than 60% of people tend to pay more for an apartment or residential space with a gardening area. The demand for landscaping is rising in order to provide an aesthetic appeal to commercial and residential properties. Landscaping benefits include restoring native plants to residential landscapes, adding plants indoors to improve air quality and human productivity. Moreover, gardening/landscaping is a preferred leisure outdoor activity. According to the facts and figures presented by National Gardening Association, more than 90 Million U.S. households (27 Million of whose members are over age 54) participate in some type of garden and lawn activity. Most of the gardeners agree that gardening is good for the mind, body and soul. Thus, the ageing population will also drive the demand for gardening equipment and small engines collectively. The accommodation, hotel and restaurant sector is set to directly benefit from the growth of the tourism industry. Growing consumer preference for environment-friendly accommodations and garden restaurants have led to infrastructural changes that demand outdoor power equipment. This trend is highly likely to augment the demand for outdoor power equipment in the hospitality sector. At a macro-level, volatile market environment, prominence of the online market and the shift in small engine manufacturing to Asia are expected to encourage new sales growth in the small engine market. The growth of small engines used for recreational activities is also expected to remain robust, underpinned by an optimistic growth forecast for regional GDP. As GDP growth accelerates, income and consumer confidence levels also rise, which further boosts the demand for small engines. The 101-300 CC segment, expanding at a CAGR of 5.8% over the forecast period, is projected to gain 340 BPS by 2026. The 301-600 segment is pegged to be an attractive segment in terms of market share, owing to the high sales of small engines in North America and Europe. Some of the prominent market participants involved in the manufacturing of small engines are Briggs & Stratton Corporation, Honda Motor Co., Ltd., Kawasaki Heavy Industries, Ltd., Jeemar Power Co., Ltd., Chongqing Fuchai Industry Group, Changchai Co., Ltd., Kohler Co., Kohler Co., Kubota Engine America Corporation, Loncin Motor Co., Ltd. and Generac Power Systems, Inc.